On this day across the bay in in 1913, Superior Diocese bishop Augustine Francis Schinner resigned his post. 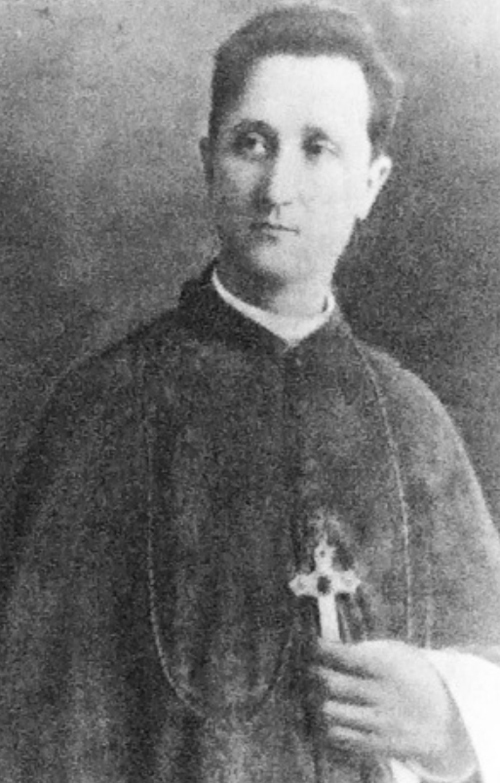 Born in Milwaukee in 1862, Schinner first became a priest in 1886, serving on the faculty at St. Francis Seminary until 1897, a period during which he also served as the secretary to the archbishop of Milwaukee. From 1895 to 1905 he was the general vicar of the Milwaukee Diocese, a position he left to become the bishop of the brand new Diocese of Superior. In Superior he lived at 1808 East Second Street (then called Bay Street), a grand Queen Anne home festooned with towers, dormers, and ornamental details built around 1890 as the home of physician W. J. Conan. (Following Schinner, bishops Joseph Koudelka, Joseph Pinten, Theodore Reverman, William O’Connor, Albert Meyer, Joseph Annebring, and George A. Hammes lived in the house; the building was razed in 1965.) Schinner cited health concerns for his leaving the head of the lakes and relocated to Washington as the bishop of Spokane, a position he left in 1926 to work as a missionary in Bolivia. He returned to his native Milwaukee in 1928 and lived out retirement as the chaplain of St. Mary’s Convent. He died in 1937 at 74.